I have been using acupuncture as an alternative healing treatment for almost five years now, and I am always amazed by the results. I have to admit that when I first went to an acupuncturist, I was extremely skeptical. I didn’t know how inserting tiny needles into my body would help. And most importantly, would it hurt? One of my symptoms leading to a lupus diagnosis was a persistent dry cough for two whole years. Nothing helped—not even a high dose round of prednisone. Running out of options and feeling hopeless, I turned to acupuncture. After just two weeks of regular treatment, my cough was gone! Since this experience, I have been a believer in the amazing things acupuncture can do for the body. A little over a month ago, I started seeing Jessica Escobedo, L.Ac. at Feather and Leaf Acupuncture in Long Beach, California, for regular treatments. Because I have witnessed first-hand how acupuncture has helped heal my body, I wanted to collaborate with Jessica and share how acupuncture can help treat autoimmune diseases, other health problems, or even occasional life stress. First, let’s get to know Jessica! She “always felt [a] calling to help heal others in a natural way” after seeing both of her parents suffer health-wise as she was growing up. When Jessica started in the acupuncture program at Southern California University of Health Sciences, she immediately knew acupuncture was the career she was meant to pursue. Jessica is a Traditional Chinese Medicine Practitioner who performs many therapies including acupuncture, cupping, and herbal medicine. She has been practicing on her own for about three years, and she could not imagine doing anything else. Jessica claims, “the greatest health benefit people receive from acupuncture [is] allowing their body to work naturally as it should.” The treatment protocol differs from patient to patient. However, the body will always benefit from treatment because the goal of acupuncture, or even Traditional Chinese Medicine, is to bring balance to the affected areas or to the body as a whole. The effects of treatment will vary, as one patient may feel the results instantly, and another patient may notice significant improvement after a few treatments. Finally, I asked Jessica what she wants people to know about acupuncture. She says, “acupuncture is so intimidating to many people. Once a person hears the word needles, a phobia is usually triggered immediately. This fear has to do with not knowing what acupuncture truly consists of and how it works.” Educating people is one of Jessica’s favorite parts of her job. She also wants people to know that acupuncture is a form of medicine that is effective and safe. Something so tiny and painless can actually benefit the body in a number of ways. 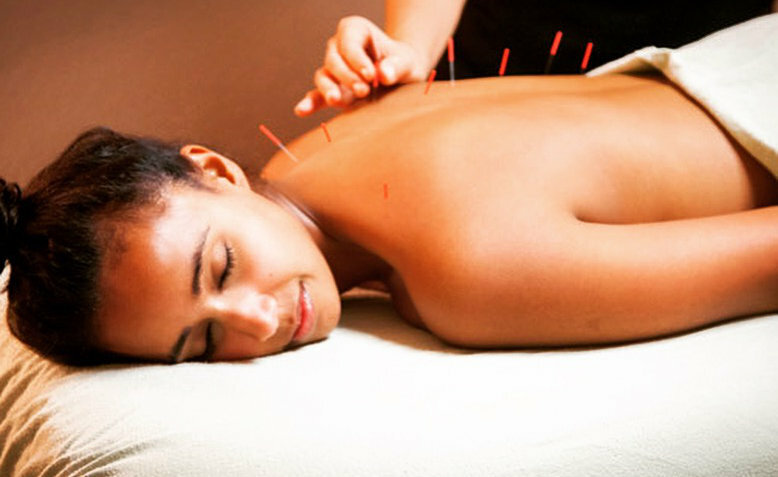 According to Jessica, acupuncture is a great way to ease the body and mind, boost the immune system, and decrease pain. The best part is that it’s accomplished by simply triggering the body's natural response to heal. For more information about acupuncture, Traditional Chinese Medicine, or working with Jessica at Feather and Leaf Acupuncture, please click here to visit her website, check out her Instagram @featherandleafacupuncture, or email Jessica Escobedo at featherandleafacupuncture@gmail.com.